Could this be the tightest race in years? For the first time in Premier League history, the top three teams have the same number of points (20) after eight matches, something that one can be quick to use as proof that this may yet be the tightest race to the title. Defending champions Man City, several pundits’ pick for this season-Liverpool and 2016/17 winners Chelsea are only separated by goals atop the most exciting league’s table. To make matters more interesting, Arsenal (4th) and Tottenham (5th) sit only two points behind the top three on 18 each and it is all happening a game away from completing the first quarter of the season. Unlike in the past campaigns, when either one or two teams had already started pulling away at this stage, there is no sign that any one of those five clubs is slowing down any time soon. At the start of the season, i was one of the many people who thought United along with Liverpool and Chelsea would push City to the limits this season but after an embarrassing start, Jose Mourinho’s men find themselves in 8th on the log, seven points behind the top three. 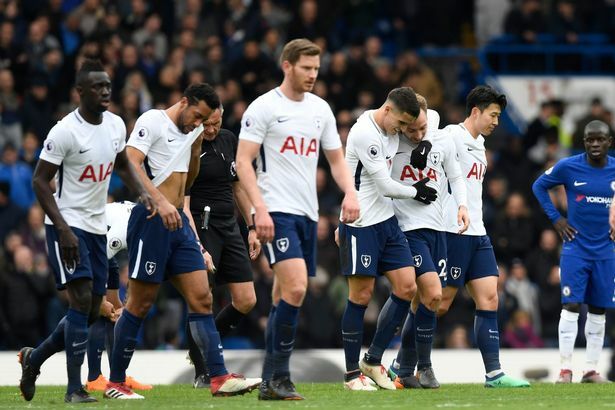 It is easy to suggest that most of the club’s misfortunes has been internally engineered as rumours of the manager-players rift have been doing rounds since the 3-2 loss away to lowly Brighton on match-day two. With 28 games to play, United have a lot of time to make up the ground but looking at their displays on the pitch, who would stake their money on them doing exactly that? The 3-2 comeback victory at home to Newcastle may have lifted the spirit of many at Old Trafford but digging deep into the result, it only suggests that issues at the most successful club in England are far from over. The defence looks like a relegation-bound club set up, midfield(decent on paper) is far from what we expect them to be and then up front, they don’t seem to know which club they are playing for as they are all not scoring enough to help the club’s cause. The bunch of players at Old Trafford can easily make you think that the club can recover forthwith but putting the earlier mentioned rifts in consideration, i don’t see that happening in time for United to mount a proper challenge for the title. However, top four could be a realistic call, that is if everyone sorts themselves out instantly. Can Spurs juggle their Champions league participation along with a league crown challenge? I have chosen the words ‘Champions league participation’ because i don’t think Spurs can win this year’s Big Ears and it is looking ever increasingly possible that they might bow out at the Group stage after losing their first two games in the competition. Going back to the start of the league, somehow, Spurs failed to sign anyone which raised eyebrows everywhere. Their luck of transfer activity has already started hunting them. Dele Ali has been out for huge periods, Moussa Dembele looks so tired and unfit and whenever Harry Kane is struggling, they look out of sorts in most of those games. Their only positive so far has been the form of Brazilian-Lucas Moura who continues to impress after a slow start in the second half of last season. Honestly, we all know he doesn’t have the quality to help the team push for the all elusive league crown and with Champions League status already a major concern this early in the season, i am confident Spurs will be the first team to concede this year’s title amongst the current top five. What of Unai Emery’s Arsenal? Arsenal have been in some form of late, winning their last six league games and can easily make it eight especially when you look at their next two fixtures, at home to Leicester City and then a visit to Selhurst Park but what happens after that? Liverpool comes to town and after recent clashes and results verses the top six, it will be difficult for the Gunners to make it nine in nine. Their fixture put aside, despite the fact that Emery’s men looked very good at Fulham last week, they have been less convincing in their other five victories something which suggests that against better opposition in the current run, maybe no one would be talking about the six wins on the bounce. Arsenal will last a little bit longer in the race than Spurs but will also concede later as they lack the quality that City, Liverpool and Chelsea have in their ranks and when the big guns come calling, nothing suggest that the Gunners will have the answers to whichever questions they (top guns) will pose. This takes me to the top three and i will start with Chelsea. Maurizio Sarri has seen his Blues side get off to a brilliant start in the league, winning six and drawing only two of their first eight games which has seen them get right in the mix of the league title hunt but all that is easily attributed to one name, Edin Hazard. The Belgian has been in scintillating form, topping the scoring charts with seven goals and three assists to his name already. With Chelsea scoring 18 goals so far, that means Hazard has been directly involved in over 50% of their goals. Are the Blues being over-reliant on Hazard? The simple answer is YES. 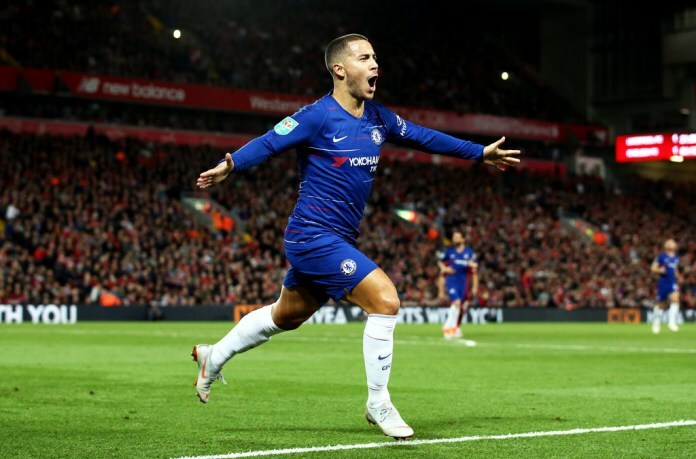 In their first game of the season against Arsenal, Hazard had to come off the bench to set up Marcus Alonso’s winner with nine minutes to play and ever since that game, the Belgian’s influence on the team’s play especially going forward has been crystal clear. The biggest question is can he stay fit and in form for the entire season? Hazard has done it before for a whole season, of course, when he helped Mourinho and then Antonio Conte bring the title to Stamford Bridge. If he can do that again, they have a chance of being champions. But my worry with Chelsea is where their other goals will come from if Hazard stops scoring as regularly because Olivier Giroud and Alvaro Morata are not exactly prolific. Provided Hazard remains fit, Chelsea will be in the title race with a huge shout and don’t forget, when the Belgian has been unstoppable in the past, Chelsea has gone on to win the league. Can Liverpool maintain the intensity and fight for the league? Three years down the road after Jurgen Klopp took over at Anfield, Liverpool is still searching for its maiden silverware. This season has promised so much especially after the transfer activities of the last two windows and the Kops find themselves right in the thick of things after winning six of their first league games. The goalless draw at City only suggests how the team has grown tactically. After all, you don’t have to go all out to attack in order to get the best of results in every game. If they can indeed get the right approach to 25 of the last 28 league fixtures, a maiden Premier League title may be only months away. For City, they are still City. Have the best manager in the world and arguably the finest squad in the league. Kevin De Bryne is on his way to attaining full fitness after a while on the sidelines and the international break will help his cause as he is expected to be in the squad to face Burnely on 20th October. Are City still the favourites to win the league even after eight games? Yes they are but will not have it easy this time round and it is all down to Hazard and Liverpool to try and take the title away from the blue half of Manchester.